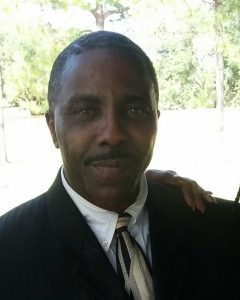 Phillip Craig Allen, 60, passed away November 15, 2018 at his home in Webster, TX. Mr. Allen was born and raised in Houston, TX and was always considered a go getter by all who knew him. He was an entrepreneur and plumber by trade, who had a great sense of humor that captivated everyone he met. Phillip, or rather Dr. Phil, considered himself to be the “Real Deal”. Mr. Allen is preceded in death by his parents, Fritz Allen Sr. and Sylvia Allen-Blacknell; sister, Helen Mitchell; brothers: Fritz Allen Jr. and Charles E. Allen. Phillip leaves behind his daughters: Jade Allen, Angel Allen and Faith Allen; son, Blake Allen; brother Gregory Allen; nephews, Mark Mitchell, Michael Mitchell and Charles E. Allen (Doodie); niece, Jarmese Allen-Jones, Mia Mitchell-Campbell, and Seuwana Allen; Sister-in-law, Reedie Allen-Watkins and all his beloved family and friends. Services will be held Monday, December 3, 2018 at 11am in the chapel of Crowd Funeral Home in Pearland.